Roth and stretch IRAs allow heirs to use your funds tax-free over long periods. 1. At What Age Must You Take Distributions From an IRA? Unlike with a traditional IRA, your contributions to a Roth individual retirement account are fully taxable but your withdrawals are tax-free. The Internal Revenue Service does not require minimum withdrawals from a Roth after you become 70 1/2 years old. Therefore, it is easier for you to pass on your Roth IRA balance to your heirs. Your beneficiaries then can stretch their withdrawals over a longer period as if they were you, the original IRA owner -- hence the name "stretch IRA." From a tax perspective, Roth IRAs are total opposites to traditional IRAs. Your contributions to a traditional IRA are tax-free, while your withdrawals are taxed as ordinary income. You make contributions to a Roth with after-tax dollars. IRS rules require traditional IRA owners to begin making mandatory minimum withdrawals at age 70 1/2. Inheriting an IRA from you can offer your beneficiaries the option to stretch out withdrawals, spreading out any tax hit. Leaving a traditional IRA balance to your heirs can trigger immediate taxation on the total amount. Your beneficiaries have the option to withdraw the total balance within five years, but that also may create a bigger tax burden over the short term. Leaving your heirs a Roth IRA, with no mandatory withdrawals, allows them to stretch an inherited IRA balance over many more years. Converting your IRA to a stretch account for your beneficiaries can eliminate the need to meet the IRS life-expectancy rules. If you have a Roth IRA, you can avoid costly tax consequences and forced withdrawals for your beneficiaries. This can be particularly helpful if your beneficiaries are young and well short of retirement age. While you are alive, you can effectively turn a Roth IRA into a personal stretch IRA. When you want to leave your retirement account to beneficiaries, a Roth IRA eliminates most of the potential legal and tax issues you can face with leaving a traditional IRA balance to your heirs. Since your Roth IRA was funded with after-tax dollars, your beneficiaries will receive your balance tax-free. You and your heirs can legally stretch your IRA funds to be paid out over the long-term without creating taxable income. Do not name your estate as beneficiary of your IRA. If your spouse is the beneficiary of your estate, she is subject to the IRS life-expectancy tables for withdrawal amounts. 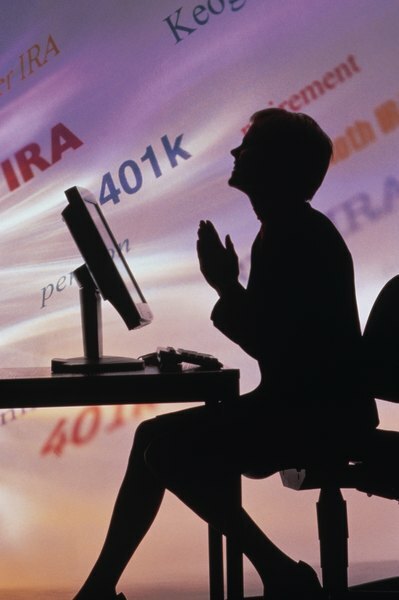 Your spouse can role a IRA into her own retirement account. If she has not reached 70 1/2, she does not need to make minimum required withdrawals. If you leave your Roth IRA to your children, they can continue piling up earnings and provide a larger nest egg when they are ready to retire.